For power it uses any power supply with voltage over 12V. 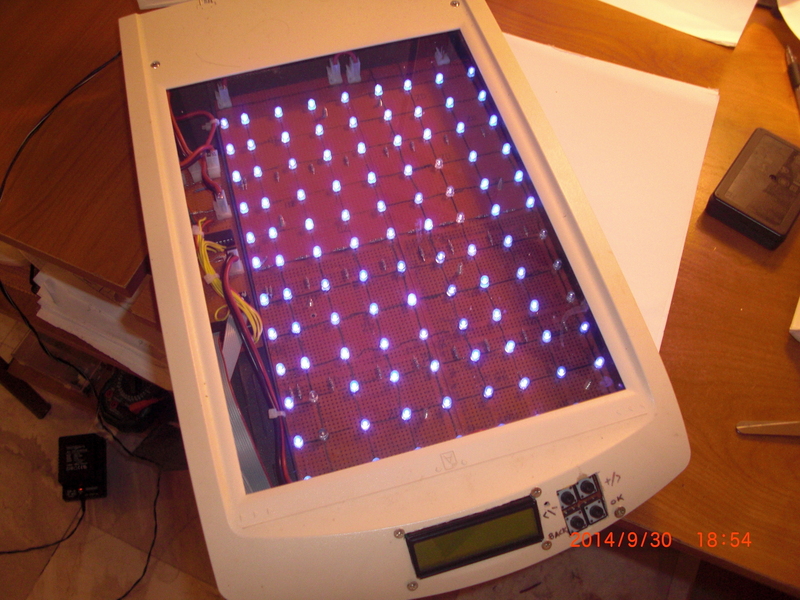 The power board gives two voltage levels: 5V voltage for control and 12V for supplying the LEDs. 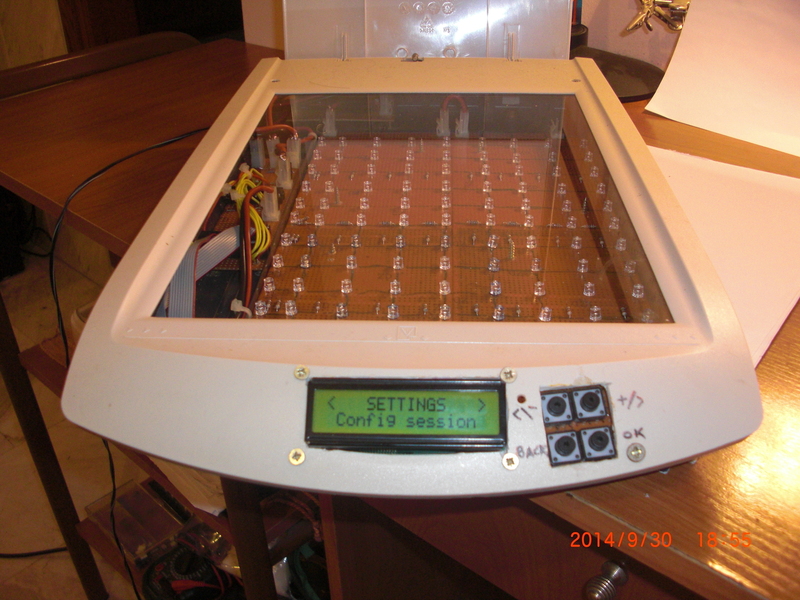 I only used it to expose very few PCBs, since veroboards are usually faster for one-offs. One of those boards was the control circuit for a rotation sensor using light encoding for a university assignment. 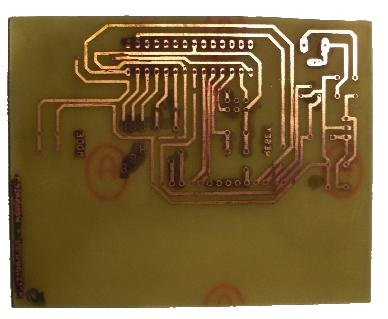 Here is a picture of the control circuit after developing.